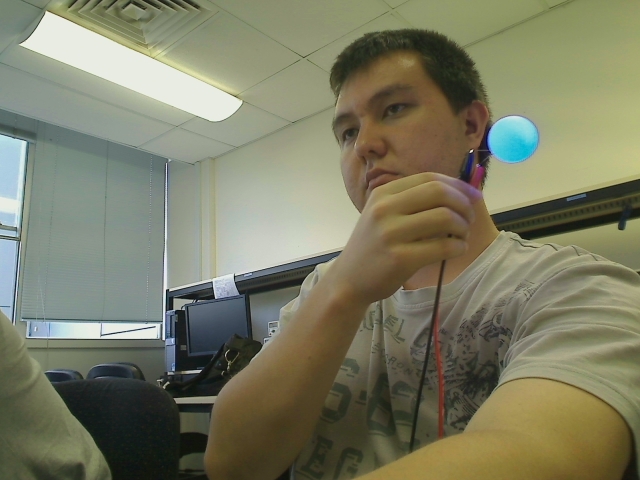 I am trying to track a blue LED in a ping pong ball. 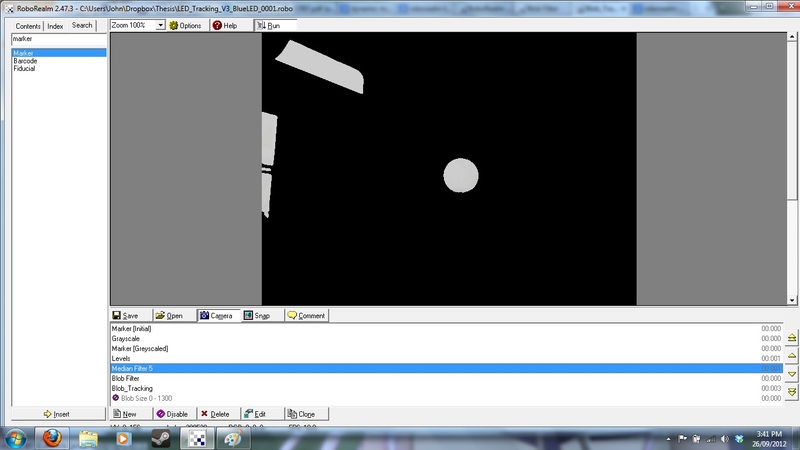 I am able to segment out the ball quite well using intensities but i also pick up parts of the background. When i try to do a blob_filter using anything 'circular', it appears that its taking each individual pixel as a new blob, rather than the whole collection of pixels that make up the circle a 'blob'. A similar thing happens when I try do a blob track. The reason I'm not using color information is that i need to apply whatever technique i use here to track 3 red LED's simultaneously, and there is a possibility of red/blue in the background. Instead, I want to filter out via intensities, and maybe use color later. (Final solution will be tracking a cross frame with 4 LED's attached to each end, 3 RED and 1 BLUE). Any help on sorting out my tracking dilemma's would be greatly appreciated! The issue is what is considered to be a blob. The way the blob filter is created is that it assumes all connected pixels "of the same color" to be a single blob. Even if a pixel is off by 1 it will consider that a different blob. So in your robofile, you are not creating blobs of exactly the same value ... even though it looks that way to the human eye. Try using a threshold instead of levels to eliminate low colors (or reduce color or flood fill or ...). You can in fact use color at this stage but specify several colors. 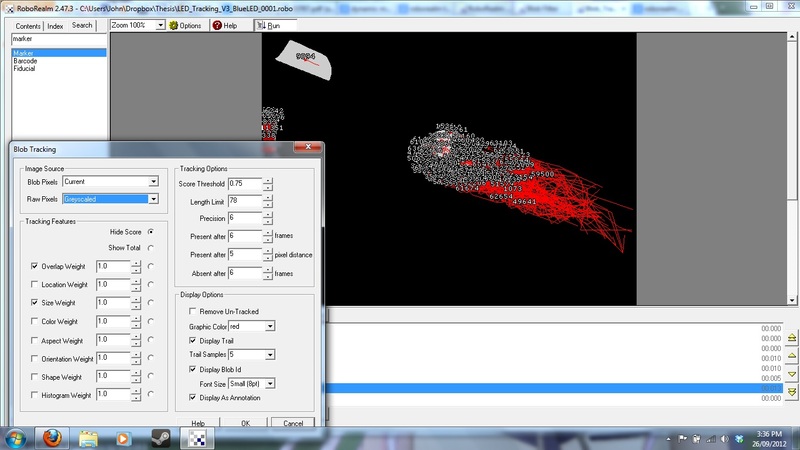 Again be sure to use Color Mask to ensure it creates an object with a single color ... see the attached for an example. Either way, just be sure the image is truly black and white or black and colored before using blob filter, blob track, etc. I'll give that a go asap.